Kid-Approved No-Cook PB and J Noodles! So much has been going on lately in the land of GBV (gastric bypass vegan, aka, ME!). From the hospitalization of my mother to my sweet one year old having a very severe reaction to his MMR vaccine (He’s back to his old self now!). Life has been stressful and less then perfect but what time in life comes without trials? I could have easily used this series of unfortunate events to wallow in my sorrow, have a pity party, not exercise and even binge! Who would have blamed me? I saw this as an opportunity to grow. Grow in my relationship with my Lord Jesus Christ. And you know what? I prevailed! It felt good! Upon hearing the news about my mom (Who is home and doing well now!) the old me would have gone through the nearest drive-thru to grab the biggest bag of french fries I could get my hands on just to “cope”. I didn’t set out to make such a kid friendly sauce but that’s what happened. I was once again making one of my husband’s favorite (spicy) Asian sauces when it dawned on me that this could be switched up to really be something “cool” for kids. I will give you the adult variations below so that once you blend up the kid’s portion you can add them in for the spicy kick the adults will love! This sauce is very versatile! I have made spring rolls, nori wraps and rice paper rolls with this as the dipping sauce. It will thicken upon standing but can be thinned out for your stir fry just by adding more water. It clings very well to noodles and is so much more healthy for you then your average peanut sauce. Kids love to help make this too! 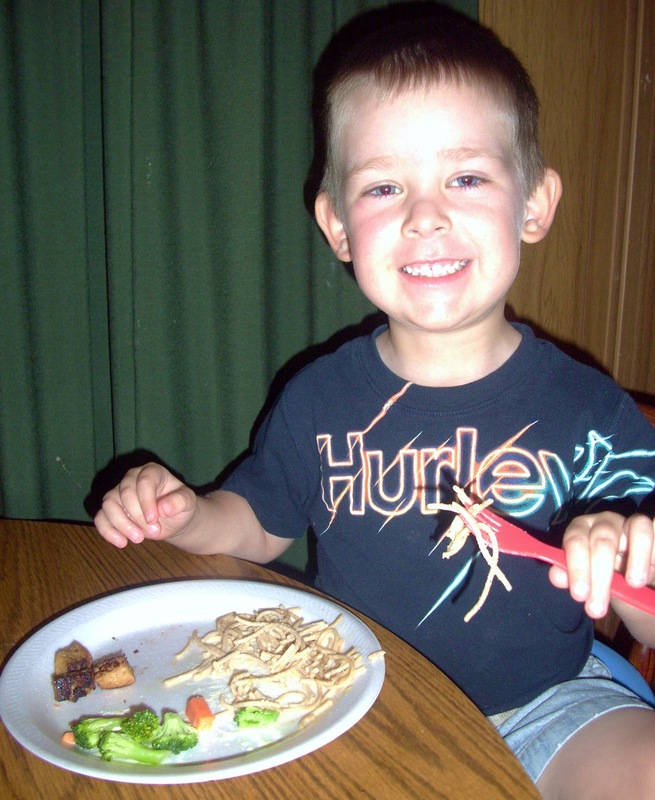 My Riley LOVED the idea of putting his favorite sandwich ingredients into a sauce for his favorite whole wheat noodles. One of the best things about this recipe is that NO COOKING is required! Can I get a amen?! Add all ingredients to your blender (minus adult contents) and blend until creamy. Pour over child’s size portion of noodles or as a side for dipping. Then add remaining adult ingredients, blend and pour over your favorite stir fry! 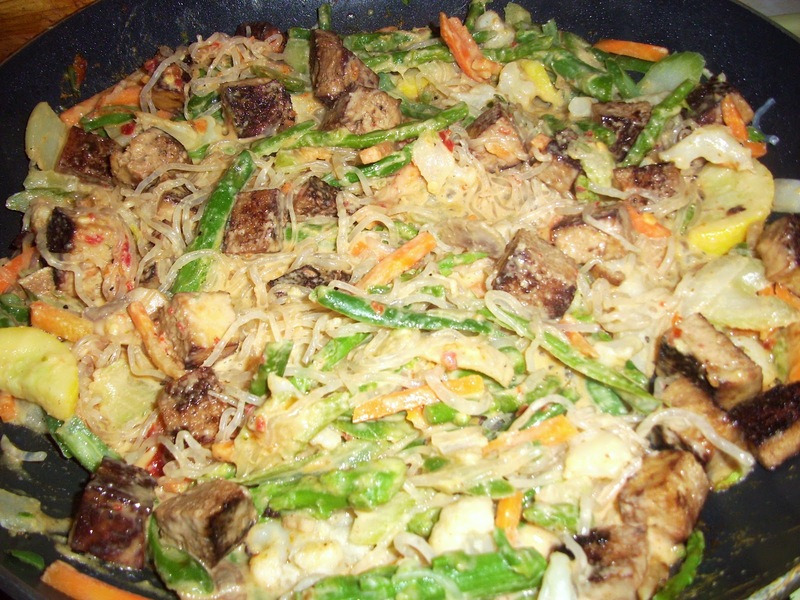 I browned up my marinaded tofu, stir fried some asparagus, carrots, yellow squash, onion and cauliflower then added in kelp noodles and the peanut sauce! If you haven’t discovered kelp noodles, you must go out and find them! They’re a sea vegetable in the form of an easy to eat RAW VEGAN noodle. They can be eaten hot or cold and the best part is that they only have 6 teeny tiny calories! They come ready to eat. Simply rinse and cut into the length you want. No funky taste or weird texture. Just awesome glassy looking noodles that fool your brain. What an easy meal right??? In other news… as if this wasn’t enough?! I’m excited to announce that The Brown Family will be taking a two week vacation to South Dakota! What on Earth is in South Dakota you say?? These guys!! OK, it’s not because of them. Not that these guys aren’t cool but it’s to see my hubby’s sweet family! The sweet family that I haven’t had the privilege of meeting in person! I know! I know! Crazy right??! I’ve been married to my gift from God for 4 years and have yet to meet his family IN PERSON! THEY have yet to meet our sweet boys! Can you feel the anticipation building??? We’re not only going to be gone for two weeks but while we’re there we’ll be attending an authentic Indian Pow Wow/Family Reunion! My husband grew up in Lower Brule, on an Indian Reservation and is part Native American (Sioux Indian) himself. I can’t wait to be on the open land, learn about his heritage, show the boys where their dad grew up… watch wildlife that I’ve only seen in books! I’m a born and raised Southern California girl whose idea of wild life is seeing a coyote cross the road, OK? So the idea of seeing REAL LIFE buffalo and elk and deer just gets me all giddy!! First and foremost I am God’s Girl! He is who He is REGARDLESS of where I am. 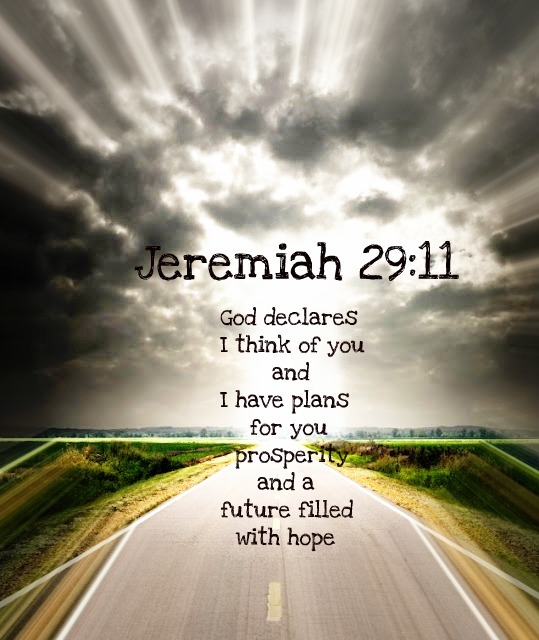 He has a plan for all of us and I’m not sure where He will lead me in this life but I do know that nothing is by chance. It’s all part of His plan. This is a piece of my heart that I wanted to share with you and I hope that you’ll stay tuned for a full report about our trip. I plan to journal the entire time and take plenty of pictures to come back and share with you! I can hardly wait! Previous Post The Trick To Perfect Tofu! Next Post From So Cali to So Dako? Sounds fabulous, will have to share the recipe with my daughter. And, I'm planning on making the Mexi-Asian wraps today when my boys come for lunch! They sound yumm-o! Hope you have a great time in South Dakota! Looking forward to reading about it.